Microsoft Vice President Phil Harrison says the "just games" approach of the Xbox One marketplace will actually help indie developers connect with an even wider audience. There are a lot of really great indie games on the market these days but they're sometimes lost in the howling storm of noise that surrounds heavyweight triple-A franchises like Call of Duty or Assassin's Creed. That's not really a big deal in the PC sphere, as any budding game maker with a few bucks to blow can set up a website and make their wares directly available to anyone who cares to download them, but in the realm of consoles, where the serious lucre is hidden, the situation is a little different: There's only one road to Rome, and everybody's on it. 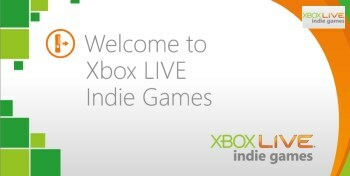 Hence, you have things like Xbox Live Indie Games, which showcases high-quality, low-profile titles away from the blinding glare of the mainstream. It's a perfectly reasonable and functional system, and one that Sony recently announced it would emulate by launching a new indie section of the PlayStation Store, and yet Microsoft has decided to do away with it with the launch of the Xbox One. "In the past we had retail games which came on disc, we had Xbox Live Arcade and we had Indie Games, and they had their own discrete channels or discrete silos. With Xbox One and the new marketplace, they're games," Harrison told Eurogamer. "We don't make a distinction between whether a game is a 50-hour RPG epic or whether it is a puzzle game or whether it is something that fits halfway between the two." Harrison said the new system wouldn't mean the end of spotlighting "products that we think are going to be exciting," but added that other features of the system will help "propagate up" the most interesting games, regardless of their pedigree. "Search, recommendation, what your friends are playing, game DVR - these all go to helping you discover the games you want to play, so I think we solve fantastically some of the challenges that independent developers face, particularly around discovery and connecting their game to an audience, by some of the platform features we have in the machine itself," he said. I don't want to be too judgmental about the merits of the plan because, like so much of the Xbox One at this point, the details are far from clear, but there's a reason the Indie Games channel was created in the first place and while it's nice to think that merit will ultimately triumph, it seems inevitable that the sheer numbers and overpowering volume of Madden or Modern Warfare will bury even the best indie titles. And even if Microsoft is able to keep the scales reasonably balanced, taking away a well-established showcase for their work hardly seems like a smart way to encourage indie developers to pay attention to the platform.